cognac-one | Gigondas 2017 dazzles The Wine Advocate and receives a 94-Point rating! 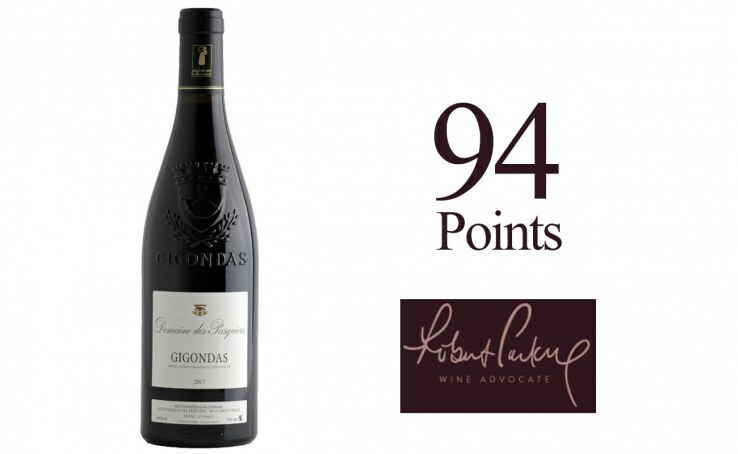 Domaine des Pasquiers gains an incredible 94 Points for their Gigondas 2017 from Robert Parker’s The Wine Advocate. This Southern Rhône Valley estate was created in 1936 with sheep breeding as its main purpose. Viniculture was a complementary project during this time. However, the vineyard developed further in the Sixties and additional parcels were purchased in Sablet and Vinsobres. Present-day, Domaine des Pasquiers is currently run by the Lambert brothers, Jean-Claude and Philippe, who prioritize organic farming techniques across their 87 hectares in the following appellations: Gigondas, Côtes du Rhône Villages Sablet, Côtes du Rhône Villages Plan de Dieu, AOP Côtes du Rhône, and Vin de Pays de Vaucluse.